To continue the tradition of excellence, the Pos Malaysia Beseri, one of the country’s postal service branches, will provide a sustained service in the future in line with the rapid development of digital services. Pos Malaysia Berhad is a postal delivery service in Malaysia, with history dating back to early 1800s. Standard Mail (Flexipack Domestic, Standard Mail, Non-Standard Mail, Postcards, Mel Rakyat, Pos Ekspres, Pos Daftar, Pos Solutions). Courier, Express & Parcels CEP (Same Day Delivery, Next Day Delivery, Time Certain Service, Pos Parcel, Pos Ekspres, Pos Laju Prepaid Pack, On-Demand Pick-up, Prepaid Envelopes/Boxes). Retail (Bill payments, driving license renewals, personal insurance, vehicle shipping services). International Mail (International inbound & outbound mails, small packets, parcels). The company holds an exclusive concession to provide mail services through its network of over 926 branches and mini post offices in Malaysia. However, loss mails issue still often reported, but no statistics publish to the public. Throughout the years, Pos Malaysia has grown from strength to strength and is progressing from being a mail and postal services provider towards becoming a dynamic communications, financial services and supply chain solutions provider. Moving forward, Pos Malaysia will continue to transform and innovate itself in order to maintain its relevance and competitive edge as well as continue to connect Malaysians with the rest of the world. We have a widespread network of over 1,000 touch points countrywide that includes Pos Malaysia Outlets, Pos Minis, Pos24 (Self Service Terminals), Post-On-Wheels (Mobile Outlets), postal agents and stamp agents, making it one of the most extensive retail network in Malaysia. 8.30am – 5.30pm 8.30am – 1.00pmClosed on Saturday 1st week of the month. Vehicle Shipping Service Between Peninsular, Sabah and Sarawak. Vehicle Shipping Service is a service offered by Pos Logistics Berhad (Pos Logistics) and Pos Malaysia as agent to transport passenger cars, light commercial vehicles and motorcycles from selected locations in Peninsular Malaysia to Sabah & Sarawak and vice versa. The shipping service is now available at 22 selected post offices and Pos Laju Centres. Express Mail Service (EMS) is an international delivery service for documents and merchandise offered by Pos Malaysia. EMS is backed by the largest postal network and provides express delivery service to over 232 countries worldwide at an affordable price. With the introduction of the lower weight steps and zoning, sending documents and merchandises for personal or business is now even better and value for money. The posting rate will be determined by actual or volumetric, whichever is higher. All items sent via EMS should be clearly and truthfully declared in respect of content and value. On Demand Pick-up Service is now available for EMS. Just call 1-300-22-LAJU(5258) and our courier will come right to your doorstep to collect your parcel. The history of Pos Malaysia Berhad can be traced back to the early 1800s with the establishment of postal services first in ………….the Strait Settlements in Penang, Malacca and Singapore expanding through the rest of Malaya by the early 20th century. Letters were then conveyed through dispatch riders or special messengers. Instead of postage stamps, fees were collected when letters were handed in at the Post Office. Letters posted were given a receipt. The system later changed when the Indian stamps overprinted with crown and Straits’ stamps overprinted with dollars and cents were introduced in 1867. The first inaugural set of postage stamps was introduced in 1901. It was also started as a medium for the transmissions of letters, newspapers and business documents. The postal service soon evolved into a multiple services provider. It began to venture into parcel delivery, registrations, insurance service, transaction of money (postal order & money order) and investment of funds (Post Office Saving Bank). 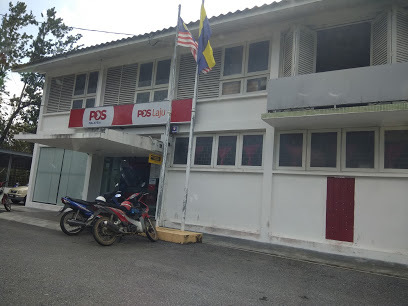 The postal service, then known as Jabatan Perkhidmatan Pos – Postal Services Department (PSD), also began to take over numerous services on behalf of the Government departments. It started to collect payment of electricity bill, sale of dog licence, payment of pensions, sale of television licence and others. In 1992, Pos Malaysia Berhad was corporatised from the PSD. In September 2001, Pos Malaysia Berhad was listed on the then Kuala Lumpur Stock Exchange (now known as Bursa Malaysia Berhad) through a reverse takeover of a Philio Allied Berhad assuming its listing status. Today, Pos Malaysia has many Strategic Business Units – POS Laju, POS International, Data Pos, POS ArRahnu, POS Digicert, POS Solutions & POS Online.